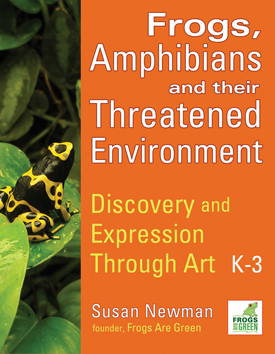 We’re so proud of all the children around the world who learned about frogs, amphibians and their environment. We’re still gathering the data! The submission total is 973 artworks from 32 countries! 17 states across the USA also participated, including over 150 from my own New Jersey, and as far away as Hawaii! The explosion of color, medium, materials and technique are just brilliant! Have a look! The judges now have a really tough job! Winners announced in January 2015! DOWNLOAD YOUR 2014 PARTICIPATION CERTIFICATE!